In India, we most often refer to egg plant or aubergines as brinjals. I often make dishes using brinjals as they are commonly available and also have numerous health benefits. 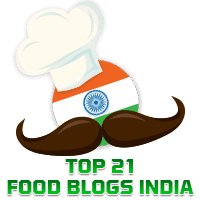 Elsewhere in this blog you will find recipes for Vaingana Puddi Sagle, which we Konkanis love; Bharli Vaangi, from Maharashtra, and Hyderabadi Baghara Baingan from Telangana. In the same vein, today's dish made with brinjals is from the State of Tamilnadu in South India. 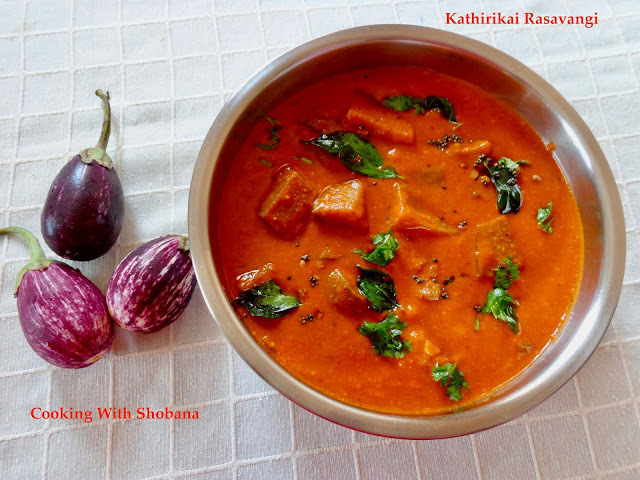 In Tamil, brinjals are called "Kathirikai" hence the name for this dish. I made it for the first time the other day and we loved it when we had this with plain rice. This recipe is adapted from Kathirikai Rasavangi from Chitra's Foodbook. Wash the brinjals, snip off the top and cut into bite -sized pieces. Place in a bowl of water and keep aside so that they don't get discoloured. Wash and soak channa dal for 15 minutes. Keep aside. Transfer to a small mixer jar and grind to a smooth paste adding just the required amount of water. Keep aside. Add the tamarind extract, and brinjal pieces, salt and turmeric powder and cook till the brinjals get done. Ensure that the brinjals on being cooked are still firm and don't get mushy. Lastly, garnish with finely chopped coriander leaves.